For many people, the iPhone becomes their way to store all the information they need and keep track of everything from finances to appointments. 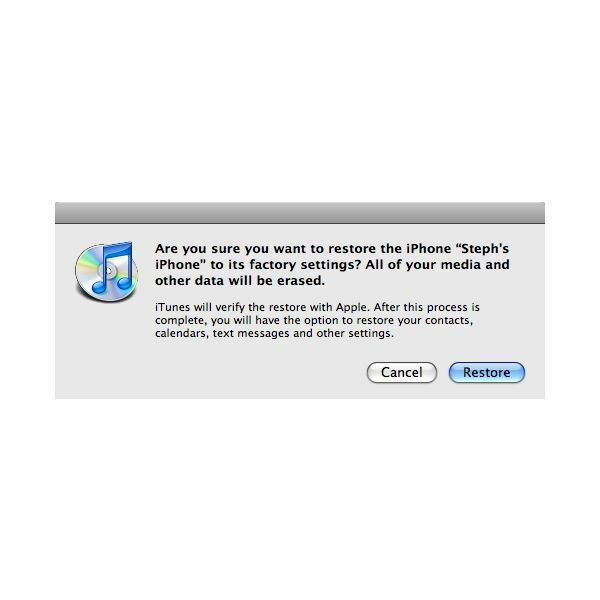 The thought of losing all the data on their phone is probably terrifying, but that is exactly what an iPhone restore does. Restoring an iPhone returns your device to its factory settings and wipes all saved data. Why on earth would you want to do that? There are a few possible reasons. If you are getting rid of your phone it is an easy way to clear it of all your information. The most common reason to restore your iPhone, however, is as a troubleshooting technique. Before restoring an iPhone, you'll want to make sure that you have the most current version of iTunes installed. You should also create a backup of your iPhone before restoring or you will permanently lose all your data. 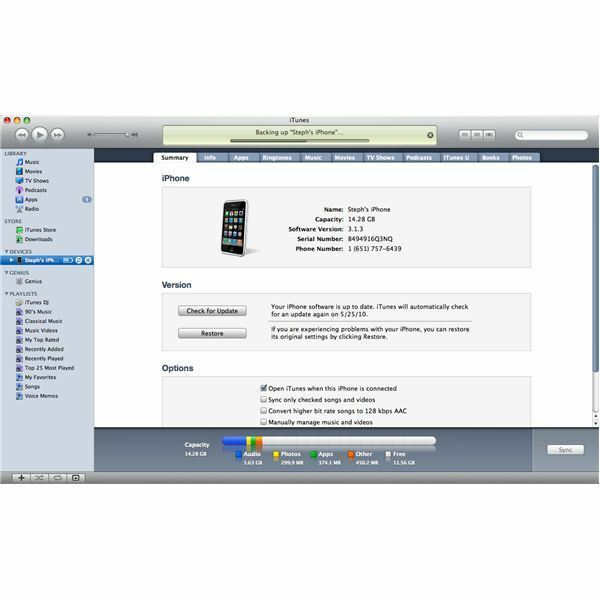 When you are ready to perform the restore, sync iPhone to your computer and open iTunes. Follow the steps below. Open the Summary tab across the top of the screen. Confirm by pressing "Restore" on the popup shown above. 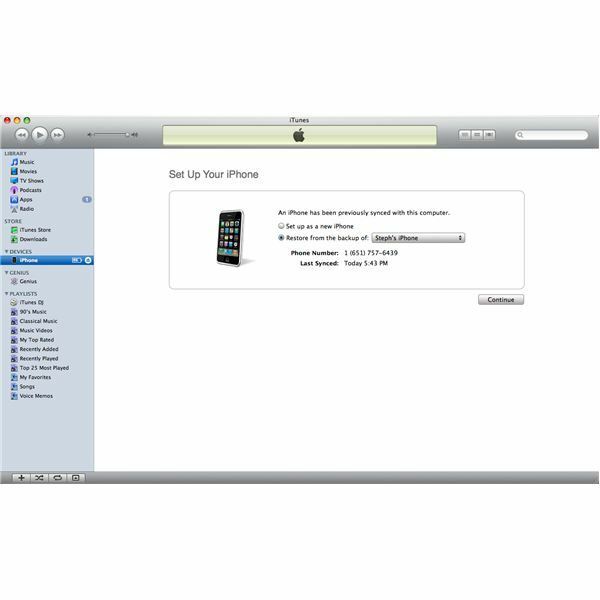 Wait for several minutes while iTunes takes your phone through the next steps of the restore. Notification popups will keep you informed of what step of the process your phone is in. The restore is complete when the above notification is shown. 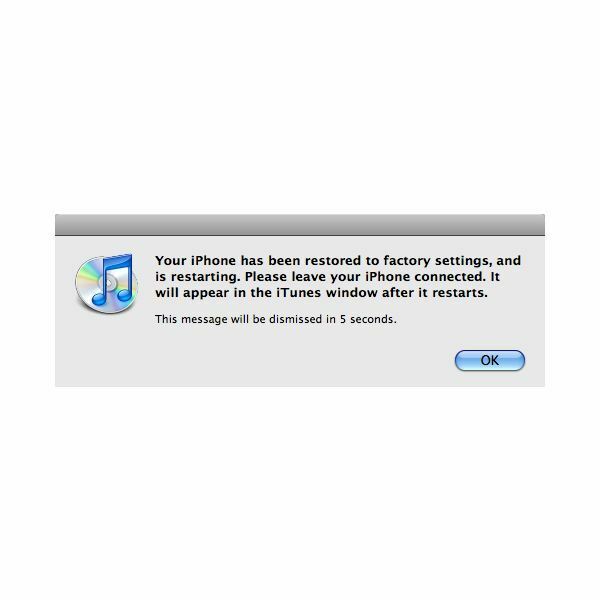 Press "OK."
Your iPhone is now restored and has been wiped clean of all data. Your next step is to set up the iPhone. Select "Set up as a new iPhone" and press continue. Follow the prompts. Do not disconnect from iTunes until it tells you that it is safe to do so. Select "Restore from the backup of:" and select your device's name from the drop-down list. Press continue and follow the prompts. Do not disconnect from iTunes until it tells you that it is safe to do so. Instructional screenshots provided by author courtesy of Apple.